The battle to understand and accurately diagnose mental disorder, with the goal of overcoming it, has been a challenging one for scientists, with very few successes in recent years. Much of the so-called breakthrough treatments are still largely unproven, while existing modes of treatments have side-effects to varying degrees for patients. Latest research data has revealed that the use of antidepressant drugs such as Prozac has soared by 20 per cent each year across Europe between 1995 and 2009, with countries such as Sweden, Norway, and Slovakia recording the largest increase in usage of the drug. Depression is fast becoming a major problem for society, for people of all ages and background. 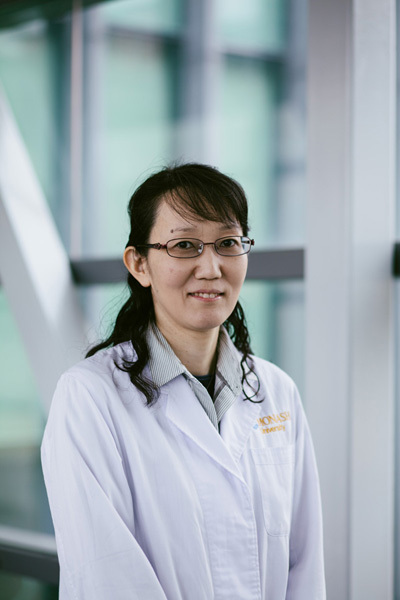 At the Brain Research Institute Monash Sunway (BRIMS), neurophysiologist Dr Tomoko Soga is focused on first tackling the basic neuroscience in her goal of understanding the molecular mechanisms underlying the occurrence of mental disorders, specifically depression and anxiety. “The end goal of our work is to better understand the human brain which will lead to the development of new diagnostic measurements and treatments for mental disorder,” she said. However, her team of researchers at BRIMS are focused on first trying to understand the basic mechanism, as there is a “long gap between animal models and clinical studies”. “The human brain is so complicated, and individual differences are so huge. “What our research does is to find a biomarker, which is finding out which molecule changes when stress is administered. “To find these markers in a human is very complicated because there are so many variations in humans. This is the reason why for treatment for depression, the medication is effective for some people and not effective for others. “So by using animals to find these biomarkers, we can try to understand the mechanisms first, and then hopefully eventually be able to apply it for humans,” said Dr Soga. Dr Soga’ team uses animal models, specifically genetic modified, transgenic mice and rats, for their research and stressed that handling and treatment of all the animals clearly abide by Australian standards of animal ethics in Monash University, Animal Ethics Committee, Clayton campus, Australia. “Not only do we strictly abide by Australian animal ethics, our lab is a Specific Pathogen Free animal facility, the first in Malaysia in 2006. “This means it is a very clean laboratory, free from diseases and infections, so that our animals are all in optimum and healthy conditions,” she said. The first part of her research, which began four years ago, is studying the effects of early life stress. “Animals in their early life stage are very sensitive to stress, and we set out to prove that stress at this age has long lasting effect,” she said. Her team began by administering stress hormones to baby mice, and then continually monitored as the animal grew. Upon reaching adolescence, the animals exhibited high levels of anxiety and depression. “We collected samples of brain tissue to see the neuron development and neuron network, alongside testing with behavioural studies. We found that the animals experiencing stress at a very young age show a definite increase in depression later on,” said Dr. Soga. The second part of Dr Soga’s research is targeted at adolescents. Baby rats are separated from their mothers at the age of three weeks, and kept in social isolation for a period of six weeks. “The isolated rat is not allowed to see, smell or interact with any other rat for that period. In essence, the rat spends its puberty and young adult stages alone. This is a form of stress as these animals are used to having social interaction, much like humans,” said Dr Soga. After that period, the animal’s behaviour and brain biochemical signalling are studied to see the effect of its social isolation. “We found that some neuropeptides and neurotransmitters expressions changed after that social isolation. Compared to controlled animals, the social isolated animals have different brain developments. The behaviour is very aggressive and they have anxiety and depression in adult” she said. Dr Soga said the study clearly mirrors the effect that social isolation may have on human adolescents. “A lot of our kids these days do not mix with parents and other friends, but remain only fixated on their computers or ipads. This is a form of social isolation, and will have a great impact on the child mental health” she said. After working for some eight years on depression, Dr Soga remains excited about her work and research. “The brain is still very much a mystery to science, which first led me to study neuroscience. “I’m particularly very interested in studying how one single gene with environmental factor, controls brain development and behaviours. She said that studies involving transgenic animals show that one single gene is able to change an animal’s behaviour. Dr Soga currently works with three research staff, five PhD and Masters students, and three honours students. While her main role at Monash University Sunway Campus is as a researcher, she is occasionally asked to share her expertise and experiences to students. “Occasionally, I’m invited to share some of my work in lectures, and also to stand-in for lecturers.